<Cities Sinking all over the world. I was looking for some visual information on American Indians (Native Americans). There really is not very much on the web although there is a nice atlas on Native Americans. I found this on pinterest by way of this website. 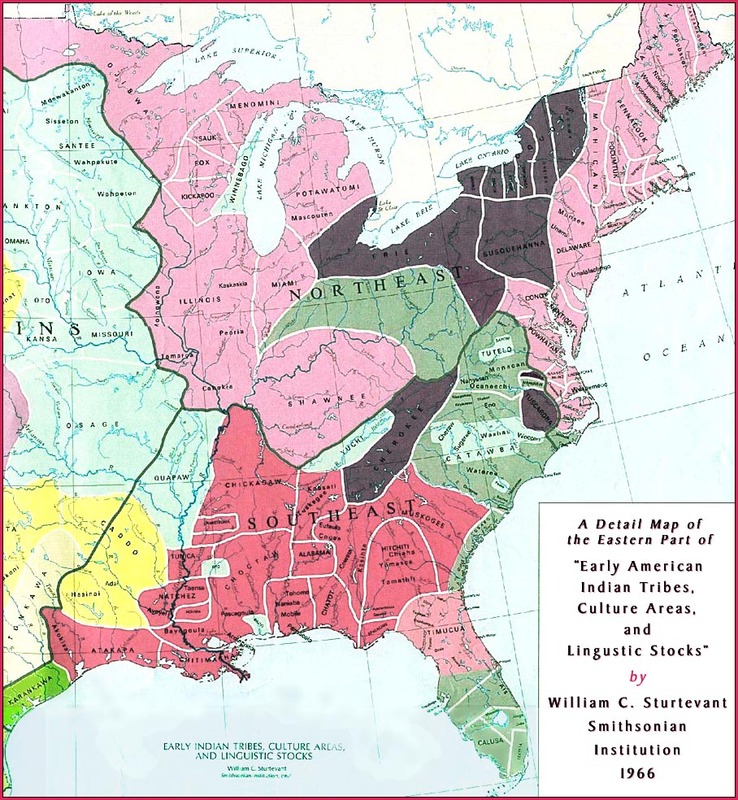 It shows the language groups of American Indians at the time of contact with Europeans. This is not made up of political units and may have meant relatively little and very much to the people of the time. This is just a snap shot based on limited information. Many of the names are familiar as place names. Delaware and Alabama as two examples. As distinct peoples many are gone.